It was a bright start to Pride weekend in San Francisco as Intel put on its first-ever public performance of an indoor drone light show at AT&T 1 Powell Friday night. Jean Elle reports. 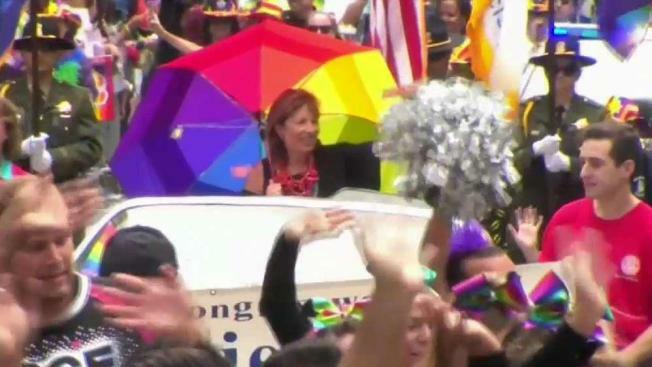 It was a bright start to Pride weekend in San Francisco as Intel put on its first-ever public performance of an indoor drone light show at AT&T 1 Powell Friday night. AT&T partnered up with Intel for the grand drone show which emitted more than 4 billion color combinations. A total of 50 Intel Shooting Star Mini drones were operated by a single computer and programmed by a series of animations. 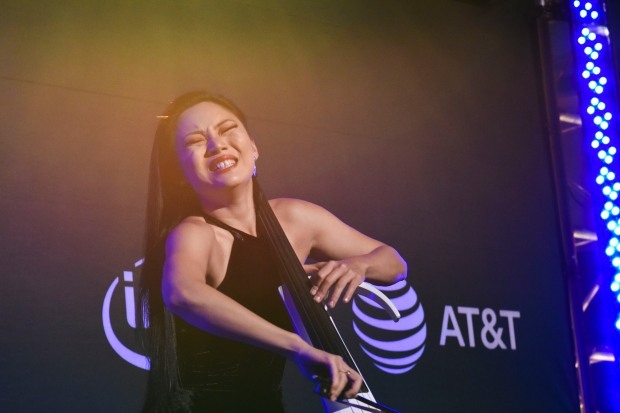 The display was accompanied by internationally acclaimed and Grammy-nominated cellist Tina Guo who performed a live rendition of "Born This Way" by Lady Gaga which according to event organizers, has become a gay anthem. As many might remember, Intel was responsible for putting on a drone show at the end of Gaga's Super Bowl Half Time Show last year.